Police officers rarely use force to apprehend and detain criminal suspects and, when they do, the majority of suspects are not injured, according to a new, first-of-its-kind analysis conducted by a research team comprised mostly of medical doctors. Fewer than 1 percent of arrests examined required the use of force, which can range from verbal commands, control holds and strikes with a closed fist to employing stun guns, chemical sprays, police dogs and firearms. The research team, led by William P. Bozeman of the Wake Forest School of Medicine, found that 61 percent of suspects had no reported or observed injuries after officers used force during their arrest while 1.7 percent suffered moderate or severe injuries, including one death. The findings appear to contradict public perceptions about police use of force, which has faced increased scrutiny since the 2014 death of Michael Brown, a black teenager shot by a white officer in Ferguson, Missouri. In recent years, news reports of officers beating unarmed citizens have sparked outrage and questions about how police treat people of color. For this study, the researchers examined more than 1 million calls for service made in 2011 and 2012 to police stations in three mid-sized cities: Mesa, Arizona; Shreveport, Louisiana; and Winston-Salem, North Carolina. Unlike previous studies, the researchers investigated the types of force used during each arrest and identified and classified all resulting injuries. A panel of five physicians reviewed all injuries considered moderate or severe to determine their final classification. It’s worth noting that the team did not look at suspects’ race or ethnicity as a part of their study, published in March 2018 in the peer-reviewed Journal of Trauma and Acute Care Surgery. When officers used force, they mostly used either physical force or stun guns. Fifty-one percent of the time, police used “unarmed physical force” — a category that includes control holds and joint manipulation as well as kicks, strikes with closed fists, knees or elbows and forcibly throwing someone to the ground. They used stun guns, commonly known by the brand name TASER, 36 percent of the time. Just over 6 percent of use of force incidents involved pepper spray. Another 3 percent involved police dogs. Firearms were used 0.4 percent of the time, representing a total of six incidents. Almost 40 percent of suspects suffered injuries as a result of police use of force. Of these, 37 percent had “mild” injuries — for example, abrasions and minor contusions. About 1 percent had “moderate” injuries such as bone fractures or a collapsed lung. Four people — 0.4 percent of suspects – suffered severe or life-threatening injuries. Of the 355 suspects who were taken to the emergency room for a medical evaluation, 22 percent were hospitalized. Less than a quarter of those hospitalized had injuries related to officers’ use of force. Want more research on this topic? Check out our longer research review on police use of force. We also have write-ups on deaths in police custody and how body cameras change the way officers interact with the public. This photo by grendelkhan was obtained from Flickr and used under a Creative Commons license. 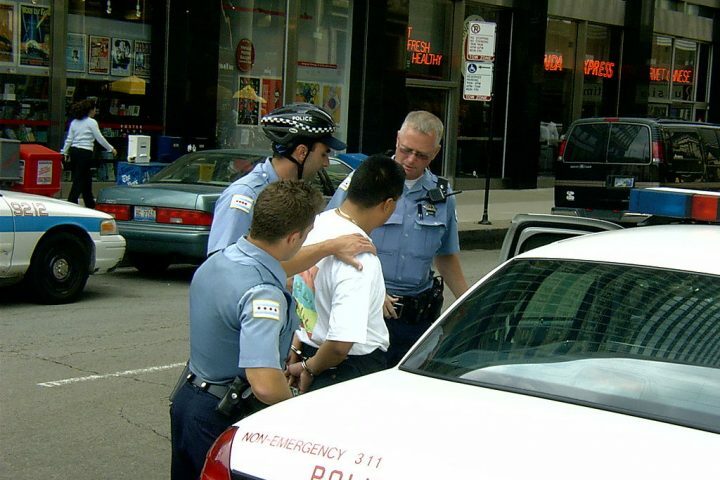 Why do (some) city police departments enforce federal immigration law? Citation: Bozeman, William P. “Injuries Associated with Police Use of Force,” Journal of Trauma and Acute Care Surgery, 2018. DOI: 10.1097/TA.0000000000001783.